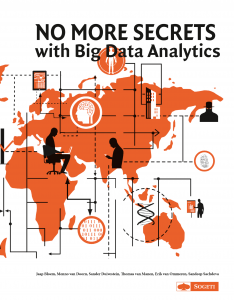 No more Secrets provides the basis for updating or refining your understanding of Big Data Analytics and for exploring new ground. 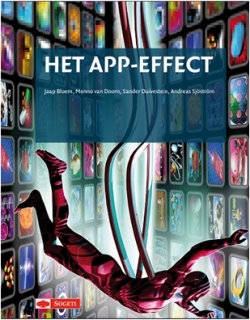 The first part sheds light on the Big Data phenomenon in general. Part 2 presents ample suggestions for determining your specific Big Data potential. These you can readily apply to gain insight in what exactly makes your customers tick using social data, the topic of part 3. The triad of privacy, technology and the law concludes the book. Transformative Big Data initiatives begin with “magic moments”: by choosing a domain in which your organization wishes to excel, while taking into account the risks and side effects. Performance Big Data initiatives are directed to existing projects with the aim of improving the performance. With No More Secrets with Big Data Analytics VINT aims to create clarity by putting experience and vision in perspective: independent and supported by examples. 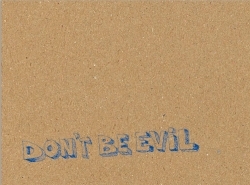 “Don’t Be Evil”, yet another book from Sogeti research institute VINT, brings food for thought. The title stands for honest decision-making coupled with a constant focus on long-term objectives and the abandonment of opportunistic short-term thinking. As such the Don’t Be Evil imperative may mean a great deal for your economic activities and the way that you deal with employees, customers and partners. Especially in tough times. The book is a source from which to draw the inspiration necessary to counter the effects of the crisis and to move towards a prosperous future. Improving Collaboration between people and between organizations is no longer optional if you want to survive in today’s hyper connected business world. Speed of change, unpredictability and the increasingly social nature of the marketplace make collaboration instrumental to your company’s ability to differentiate. New ways of collaboration are starting to take place within your company, across value chains and in the individual social domain of your employees. At the same time, new architecture and delivery models are bringing many new collaborative tools within reach of every person in your organization, with or without your knowledge or control. On the technology side, a volatile mix of acronyms like SOA – Service Oriented Architecture, SaaS – Software as a Service and Web2.0 is brewing that is drastically changing our view on the role and value of Information Technology. If left to chance there is little hope for success: you need a strategy. In this book we address the changes and opportunities that come with this new business world that is starting to show all around us. In it we talk about autonomous, bottom up organizations where innovation and collaboration are part of the culture. We discuss Value Chain 2.0, where it is about quickly establishing combinations that offer value to the marketplace. 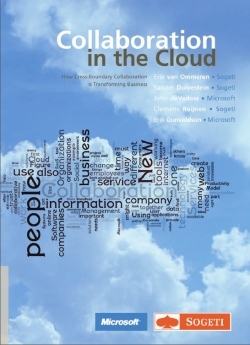 It is about crossing boundaries and taking the full benefits from Cloud Computing and anything available As A Service, from platform to complete business solution. The writers aim is to open the readers’ eyes to the completely new world that is being created. A new society with a revolutionary character, where power shifts from institutions towards connected citizens. 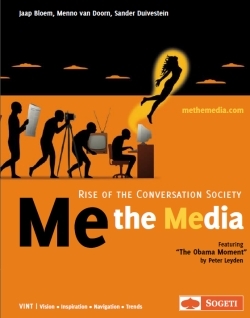 A world full of new media technology: from simple blogs to location-bound multimedia, ultimately producing a situation in which science fiction seems to be on the verge of becoming reality.